Agora is a non-profit, student run food service outlet found in the basement of the Land and Food Systems Building. The food is great and it is a wonderful place to meet with other students, study or hang out. Agora believes in creating a sustainable food outlet on campus and makes ethical decisions about where their food comes from and how it is grown. Prices are affordable for the student budget. Try Agora’s famous homemade granola bars – they are delicious, but sell quickly. Community dinners are a great way to connect with students and staff of LFS. These weekly dinners are reasonably priced and offer a meat or vegetarian option. It is a great way to meet new people, talk with professors and have a good meal! 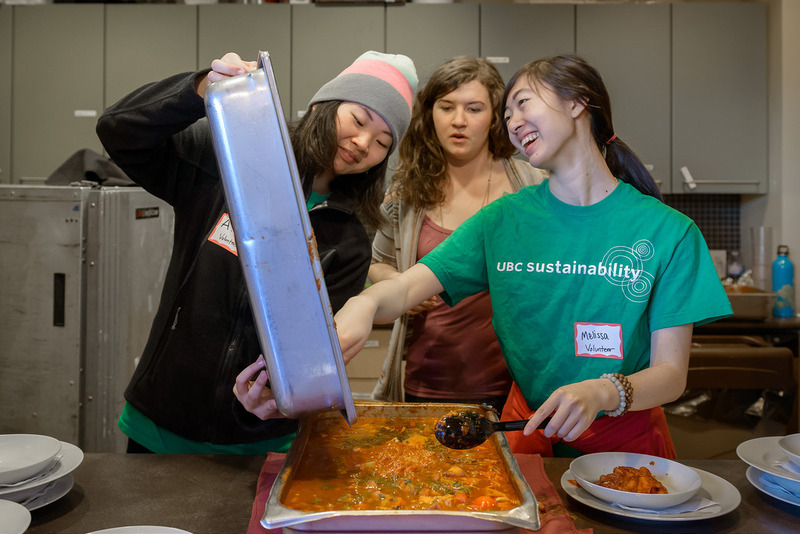 In an effort to decrease the amount of edible food that goes to waste, Community Eats prepares lunches cooked with food that would otherwise be thrown out due to appearance (i.e. blemishes, bruises, etc), quality, or damage (i.e. broken or punctured packaging).